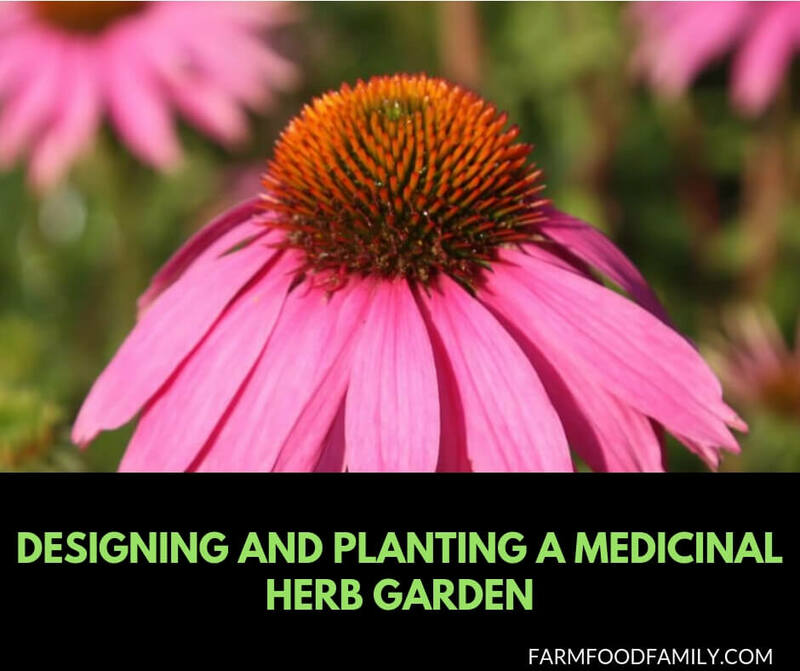 Planting a medicinal herb garden is an excellent way to have a constant supply of healing plants on hand for the treatment of common ailments. The use of medicinal herbs is a time-honored way of treating everyday conditions such as coughs, colds, scrapes, burns, and other minor ailments. Growing medicinal plants at home guarantees that they will be fresh, organic and always available. Site- Plant in a location that receives 5 to 6 hours of direct sunlight each day. If planting against the side of a building, avoid the north side. Soil- Healing herbs, like most plants, will grow better in well-drained, fertile soil. Prepare the soil by digging down 8 to 12 inches and adding organic material such as compost or aged manure. If the soil is very heavy and drainage is poor, it may be best to construct raised beds. Accessibility- The gardener must have easy access to the herbs in order to care for and harvest them. Do not make the beds so wide that the herbs are hard to reach. Place paths or stepping stones between the beds to increase accessibility. Containers- Some herbs spread so vigorously that they will take over the entire garden. It is preferable to grow certain herbs, such as those in the mint family, in containers. Used wooden wine barrels that have been cut in half are excellent for his purpose. There are many healing herbs that are easily grown in a medicinal herb garden. Two reputable online sources for herb seeds are Horizon Herbs and Mountain Rose Herbs. Many common herbs, such as chamomile and peppermint, are readily available in nurseries. Here are some suggestions for medicinal herbs and their common uses. Used externally for bruises, burns and skin irritations. Calmative and diaphoretic, similar in action to lemon balm. Calmative and soothing for nervousness and upset stomachs. The populariy of Echinacea as an immune system enhancer has caused it to be severely overharvested in the wild. Has potent anti-microbial properties, used for colds, flu and infections. Goldenseal has also been overharvested in the wild. Wonderfully fragrant, lavender has calming properties and relieves headaches. A calmative, lemon balm has also been used as a mild diaphoretic to induce sweating at the onset of colds and flu. One of the best remedies for coughs and respiratory problems. Delicious as a tea, and aids in relieving upset stomachs. Used as a poultice for external wounds. Used throughout history on the battlefield to stop bleeding, yarrow is also used for fevers at the onset of colds and flu. Aerial parts such as leaves and flowers should be harvested while they are actively growing during spring and summer. The best time to harvest is in the morning, after the dew has dried. Up to half of an annual plant may be cut, leaving at least 4 inches above the ground and taking care not to remove the growing part of the plant. Annuals can often be harvested two or three times in a growing season. Cut one-third or less of perennial plants. Harvest roots in the fall, and wait until plants are 2-3 years old. Dry medicinal herbs with the leaves attached, preferably hanging upside down in loose bundles to prevent mold from growing. Herbs can also be dried in paper bags. Many herbs are contraindicated while pregnant, nursing or taking prescription medication. Consult a qualified herbalist before using herbal remedies.